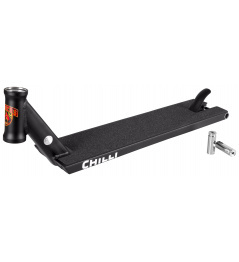 New street model from Chilli . For model Gery Ably . 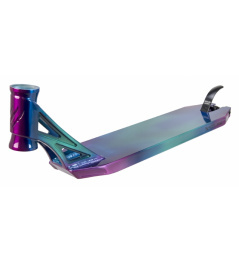 The board is especially designed for street riding. Great advantage of the plate width is 130 mm and length 560 mm! 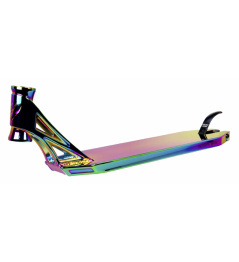 The end of the board has a dropout in the shape of a block and has integrated pegs for better riding. Great for grinding! The board has also support for wheels with a width of 27 mm ! Riding is faster, more stable. Suitable board for demanding riders. We recommend it for advanced riders and above all on the street . Get Griptape for free ! Váha: 1,6 kg. Délka: 530 mm. Šířka: 125 mm. Griptape ZDARMA! 0 Review "Chilli Gary Ably Signature board 560 mm silver"